For example, when a de-wormer is given at a lower dose than what is recommended on the manufactures label, the parasite in the treated animal may not receive an effective or lethal dose. 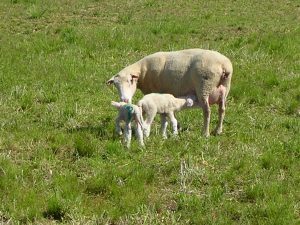 A concern with treating lactating ewes is that although the ewe may receive an effective dose, if the de-wormer is transferred through the milk, is the amount received by the lamb enough to create resistance in the parasite. 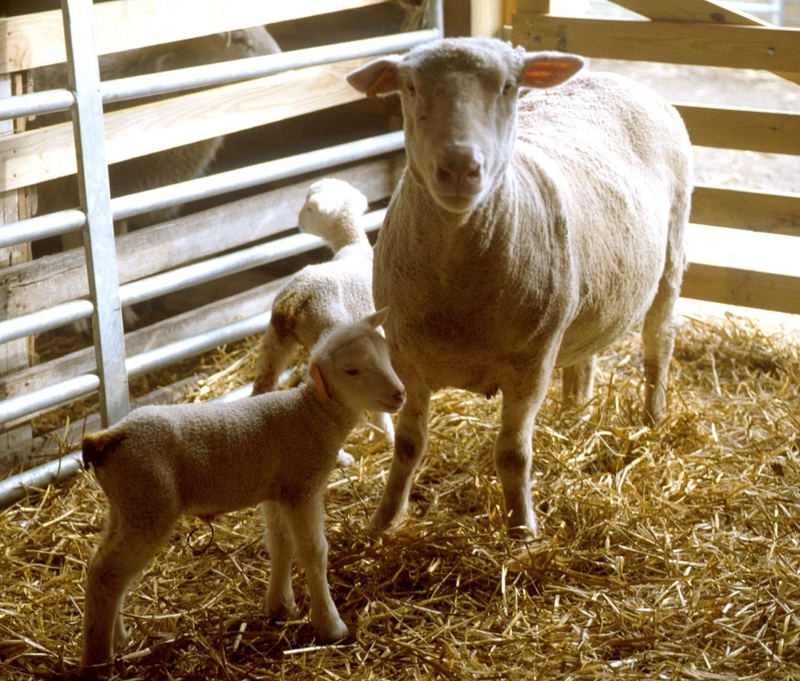 To address this concern, the authors below monitored the transfer of moxidectin, the active drug in Cydectin, from a lactating ewe to her nursing lamb via milk. These ewes had a 157 day wash out period from their last Cydectin treatments to ensure that moxidectin would be cleared of their systems. Ewes on trial were dosed Cydectin orally at 1cc/11lbs. of body as outlined on the manufacturers label. Blood and milk samples were collected from the ewes and blood samples was collected from their nursing lambs in order to determine the amount of moxidectin in all sheep at any given time point. Moxidectin residues were found in all collected samples, indicating that moxidectin can be transferred via milk. In addition, before the ewes were treated with Cydectin, baseline milk samples exhibited moxidectin residues demonstrating that the 157 day wash out period was not long enough in order to clear the body of moxidectin residues. Furthermore, although at low levels, moxidectin was detected in the blood of the lamb. This is a concern. At this time it is unknown whether the concentration of moxidectin in the lamb will contribute to the future development of resistance parasite populations. Therefore, producers should be cautious as they continue using chemical de-wormers. Judicious use of de-worming products, the use of the FAMACHA eye scoring system for selective de-worming, and development of alternative parasite treatment strategies is critical as we move forward towards managing our flocks and herds against parasitic infection. Campbell, B. J., M. D. Pairis-Garcia, M. R. Campler, L. E. Moraes, J. S. McCutcheon, and F. L. Fluharty. 2017. An investigation of oral moxidectin carryover to nursing lambs via milk. Small Rumin. Res. 154: 9-12. Posted by Braden Campbell at 8:00am January 4, 2019 Posted in Parasites, Research and tagged Management, Parasites, Research. Bookmark the permalink.